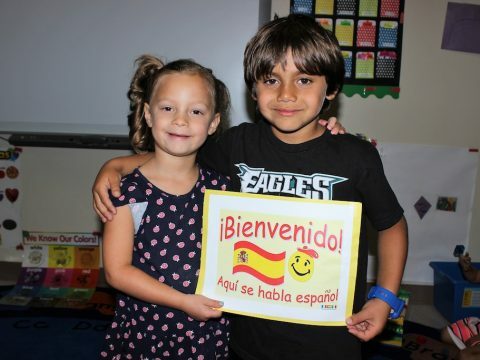 Full Spanish Immersion Program is yet another option offered at BROWN Academy. In this unique and cutting edge program, we don’t teach the children to speak Spanish, we teach them in Spanish. This immerses the children in the language and provides the opportunity for a second language to be acquired. The Full Spanish Immersion classroom environment is comprised of native speaking Spanish faculty, labels in Spanish, books in Spanish and specialty toys and manipulatives designed for teaching in Spanish. This program is offered to children ages 2 to 4 years old.